Fox News host Jeanine Pirro was reportedly suspended by the network following comments she made earlier this month about Rep. Ilhan Omar's (D-Minn.) loyalty to the Constitution. The presidential counselor's message was addressed to the media. Damn, are this harridan’s 15 min of fame not up yet? And this right wing meme of “shut up and…” is one of the more dehumanizing and insulting responses to criticism ever developed. Right? Especially from the gang that likes to complain about its frozen peach. Decade-old tapes of the Fox News host spewing sexist and racist comments surfaced online this week, thanks to the left-leaning media watchdog Media Matters. I pity the poor people who had to listen to all that drek, especially considering that the guy is totally unrepentant and his squadron of followers love him all the more for it. 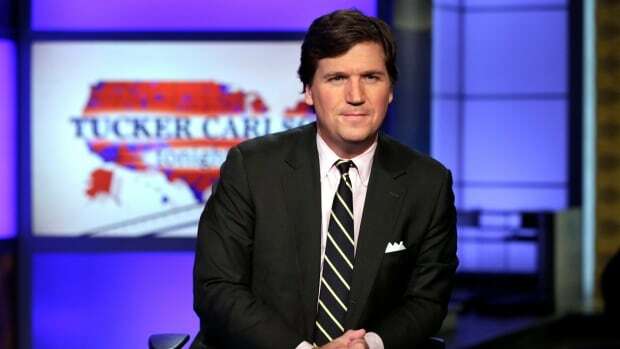 Tucker’s “vast conspiracy” against him was one 24-year-old. I’m sure he’s convinced that George Soros personally ordered her to do it. Please tell me there is a security camera on this. If not, in the current environment, why the hell not? Hasn’t this waste of space Pewdiepie been deplatformed yet? If not, any minute now would be great, thnx. A Republican lawmaker in Missouri wants to require adults in his state to purchase handguns and AR-15 rifles. Lookin for a pay raise from the NRA, I’d guess. He must know it ain’t gonna happen. Not that it matters a lot, but for the sake of accuracy, that vandalism happened weeks ago, though it’s not the first time. In cash. Non-sequential bills. Yeah, leave it by the door. Thanks. If not, in the current environment, why the hell not? Even fellow Republicans criticized the GOP for the St. Patrick's Day message. Same as it ever was. A white supremacist’s “us” can’t exist without a lot of “them”.